1. Designed as lightweight powerful tool for tough,tight, quarter cleaning jobs that require fast metal removal. 2. Aluminum alloy housing for lightweight and operator comfort. 3. Sprial bevel gearing in angle head provides extended angle head life and smooth low vibration. 4. Heavy duty ball bearing construction for vibration free performance. 5. Compact design for ease of handing. 6. Auxiliary side handle for increased control. 7. Wheel guard for added safety. 8. 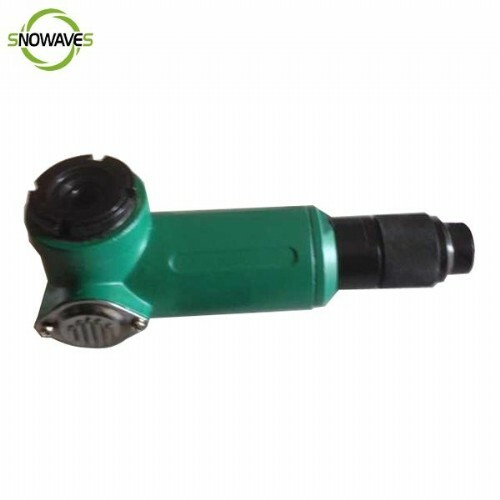 Throttle is roll type, it is easy to change speed during operation.